"Kohli is, statistically, a 7/4 chance while Rahul should be a point shorter at 3/1. We could back both on those numbers"
When India take on England at Old Trafford there appear to be two outstanding wagers on their top runscorer market. The two men in question are Virat Kohli and KL Rahul. 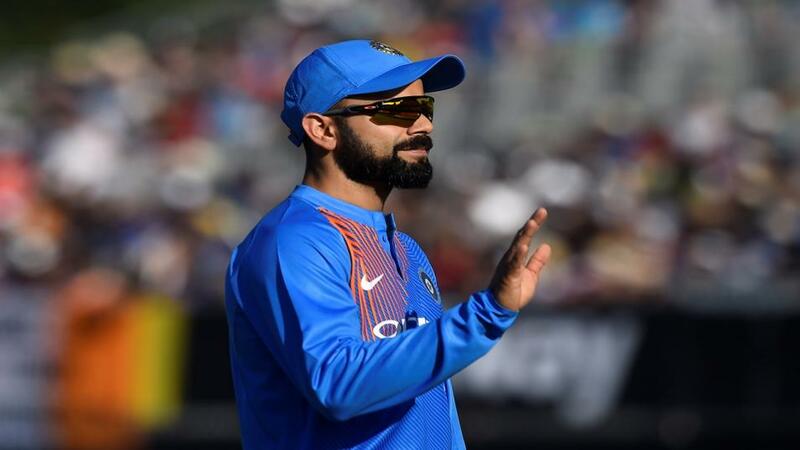 Kohli, the batting deity who is slightly less revered than Sachin Tendulkar, and Rahul whose talent is also perhaps worthy of a fanatical following. It is possible to state a case for both men. Kohli gets a 3/1 quote from Betfair Sportsbook and Rahul 4/1. Kohli, it could be said, is due. His recent run of scores (stretching back to the Indian Premier League) suggest he is mortal: 9-0-4-12. His most recent outing, against Ireland in Malahide, was disappointing. For us and him. We had correctly spotted he would be promoted to open against the Irish given that he was in need of crease time for this series. It was a major boost for his chances of outscoring his team-mates given that he often bats at No 4. But he didn't take it. That could mean the time is now. For most batsmen those run of scores would have us doubting whether Kohli was badly out of touch. But is that ever the case for someone so good? The damn could be about to break and he hasn't top scored for five matches now for India in T20. If he is going to be pipped it could be by Rahul. We have a soft spit for this blitzer because of his superb showing for Kings XI in the IPL where he single-handedly kept each innings afloat in seemed in the second half of the season. He should have played far more for India than he has. But it is difficult to displace Shikhar Dhawan and Rohit Sharma in the opening berths. He took his chance in that game against Ireland, though, opening with Kohli and landing a winner in the market. So, in short we have a problem. The only way to solve it is to do the maths. How often do these two actually top score? Kohli is, statistically, a 7/4 chance while Rahul should be a point shorter at 3/1. We could back both on those numbers. But given there is a greater edge on Kohli - and the fact he has played more games in his career - it would look slightly odd if we discounted him now. There is also the not insignificant issue of where Rahul will bat. He might have to bat at No 3, which potentially robs him of his most comfortable role: going big in the powerplay. Perception in punting can spoil everything. What counts are facts. The truth. The perception of England as a T20 team is that they are good. Or at the least extremely dangerous with the bat. This is because of their form in ODI. It is not so. Strangely, their No 1 ranking in ODI has not done much for their T20 form. They are rated No 5 and have lost eight of their last 14 matches. It's the sort of sequence limited-overs England sides are used to historically. That careful recklessness of the ODI team is not replicated. While England outpace every team and are top of the pops for boundary hitting, they are not so brutal in the shortest version. The perception of England, though, is what may have made Betfair Sportsbook rate them as jollies to hit the most sixes. They are 5/6 with India 11/10. The tie is 6/1. We can't find much in the way evidence that they should be favourites. In the last 12 months England have averaged 6.6 sixes per game. India over the same period average 6.5. Over the last two years England average 5.3 per game. India? They have the edge at 6.36. When the 'home' and 'away' filter is applied, India again come out on top, perhaps downing another perception that they are poor travellers. They average seven sixes per game on the road (last two years) while England's mark is 5.7 at home. Hawk Eye on England v Australia T20: Can the Buttler do it again?